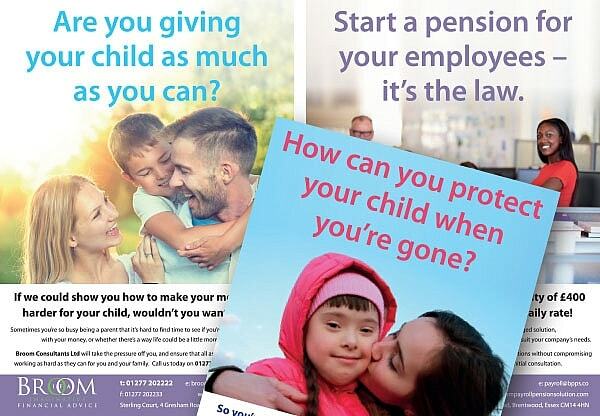 Alexandra needed a new brochure created to explain Countrywide South East's estate planning services and a series of adverts designed to promote themselves and their sister companies at an upcoming event for families with special needs children. Busy managing a highly successful firm, Alexandra did not have the time to micro manage the project and gave us the responsibility to source all of the images and write the necessary text. 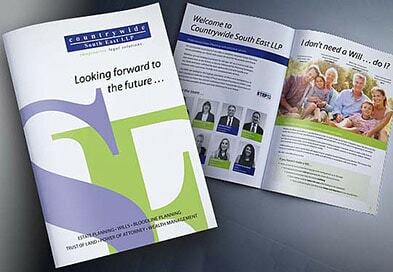 We quickly assessed that the explanatory text used by many estate planning services was poorly written and very confusing to the layperson – Countrywide South East's main target audience. Our primary aim was to explain all of Countrywide's services in the most clear, concise, and simplest terms possible. We took considerable care to select emotionally stirring images that supported the text and told much of the story by themselves. 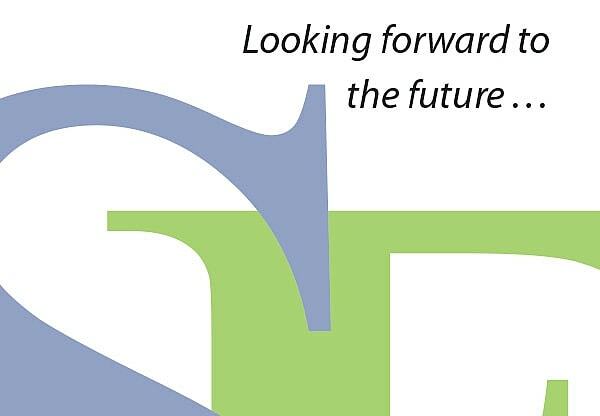 For the brochure, we echoed the style of a previous pamphlet but created a cleaner, more modern design, incorporating the colours of Countrywide South East's logo in text and blocks and even using their S and E in the background of each page. This not only emphasised their brand identity but meant that if the brochure were folded back on any particular page and the cover obscured, the customer could still recognise the identity of the company. For the advertisments, we followed a similar format for each sister company, to create consistency and a relationship between each separate identity. We concentrated again on selecting large, emotionally stirring images that caught the eye and gave you an insight into the accompanying text. To save Alexandra stress, we even liaised directly with the printers to a achieve a successful print run in time for the event.